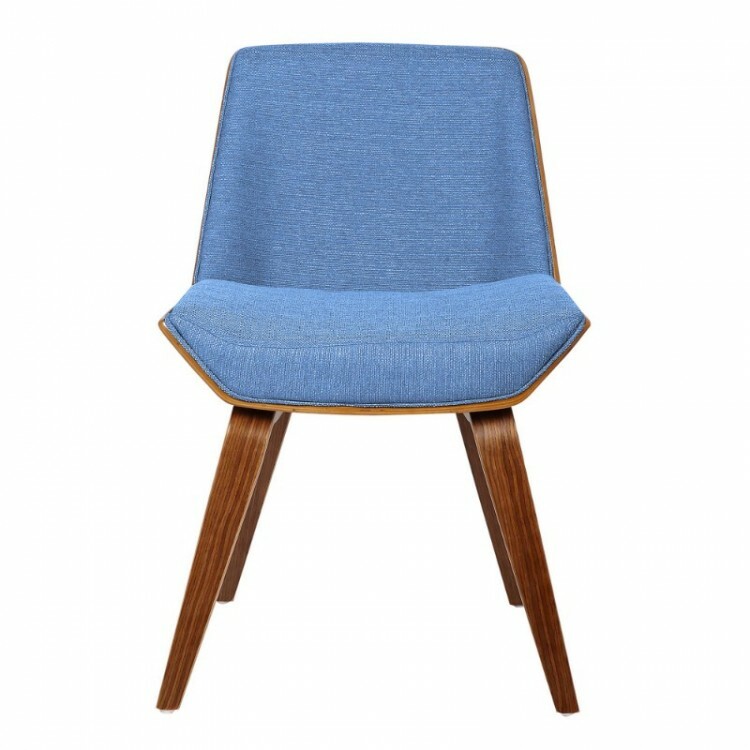 The Armen Living Agi mid-century side chair is an exceptionally stylish piece sure to be a standout in any contemporary household. 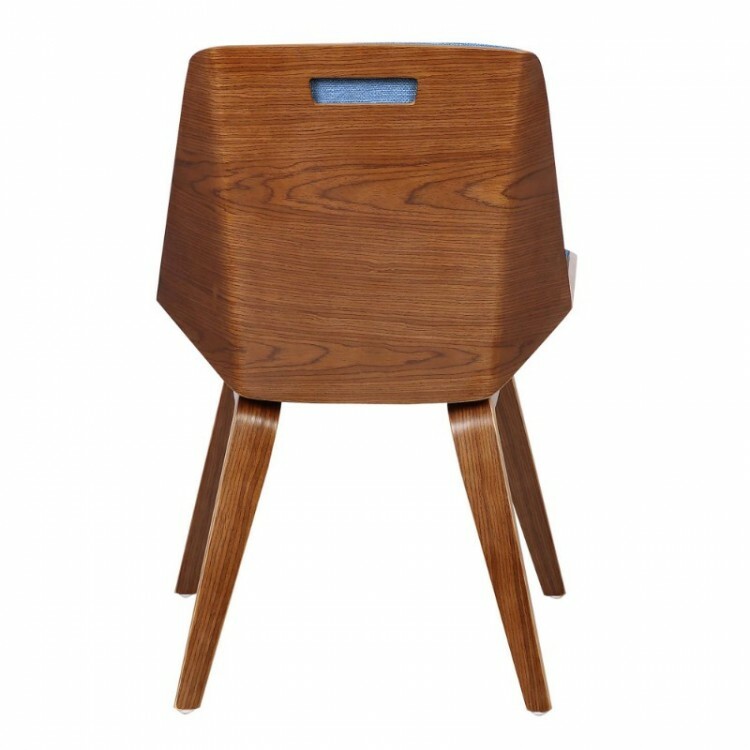 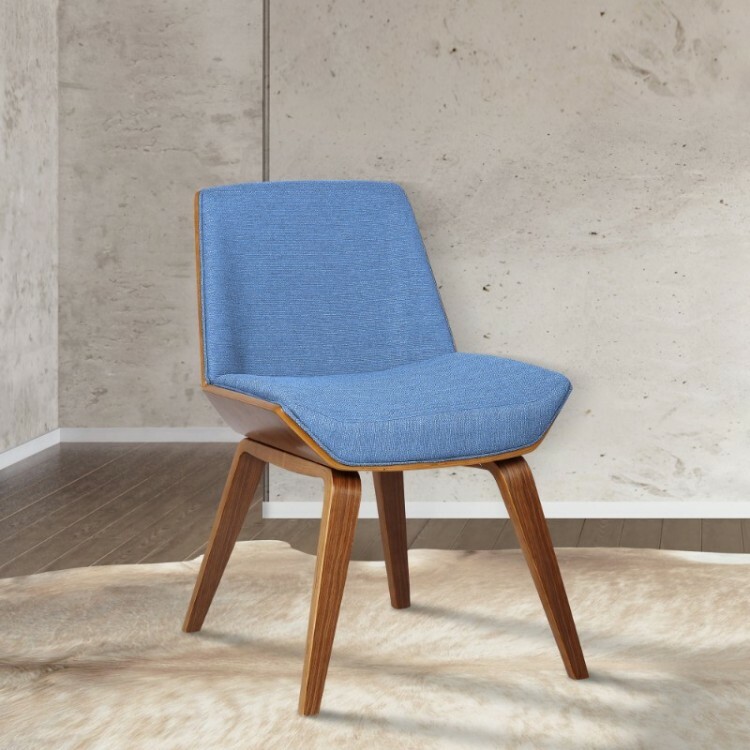 The Agi's sturdy walnut wood frame is perfectly accented by the high grade fabric upholstered back and seat. 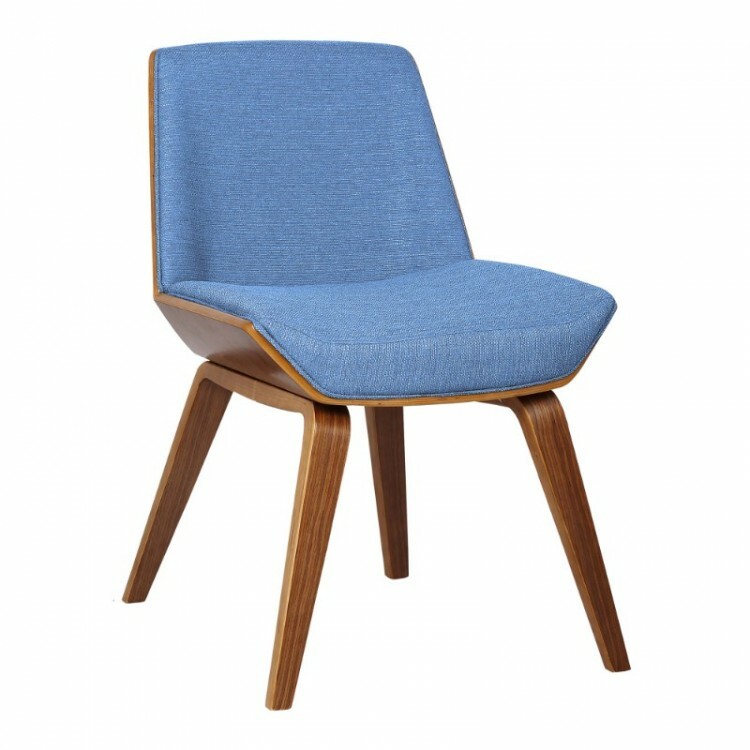 While ideal for the dining room, the Agi's stylish frame design and high degree of comfort makes it perfectly adaptable in just about any room of the house. 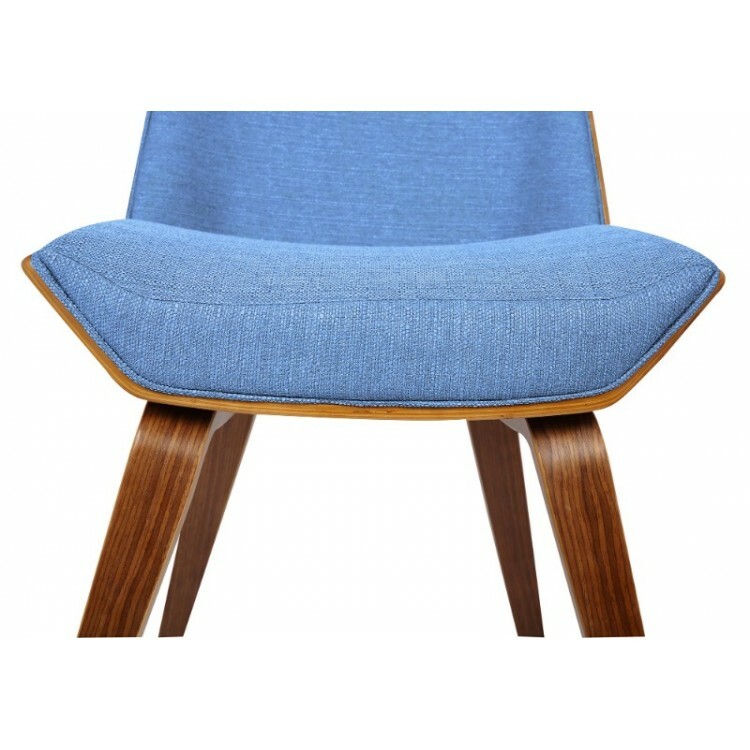 The Agi is available in your choice of grey, beige, orange, and now blue fabric upholstery. 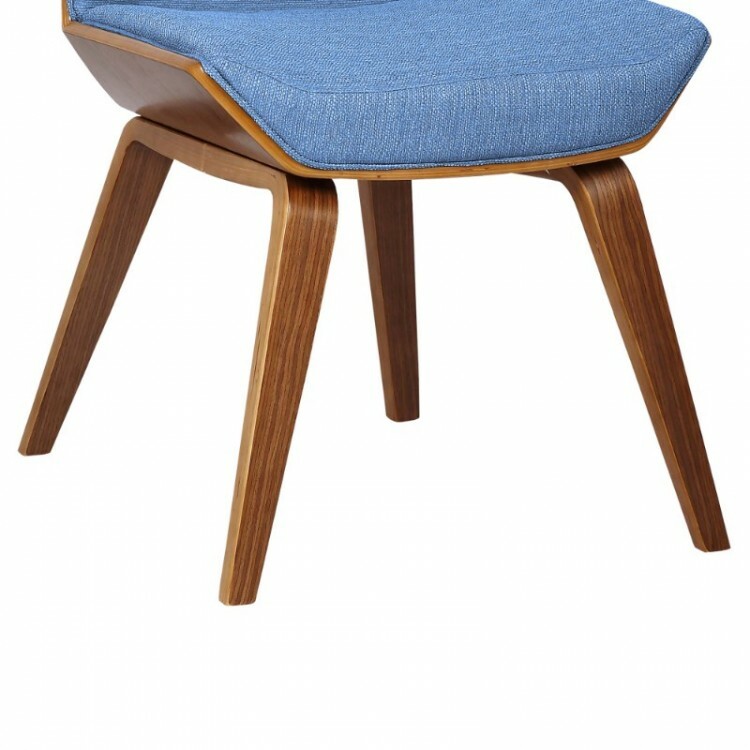 Product Dimensions: 21"W x 24"D x 30"H SH: 18"